What Career Should You Be Looking Into? 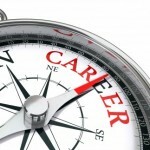 You are here: Home » Advice and Tips » Education & Career » What Career Should You Be Looking Into? Single moms understand the importance of work-life balance better than the average person. As both the breadwinner and the main adult figure in your children’s life, a single mom needs to have job flexibility, stability, and an income that will support growing kids. Picking the right career path is key to ensuring that all those factors meet your needs. A six-figure salary won’t do much good if you can’t take the time to shuttle you kids to soccer, ballet, piano, or play dates. Freelance work from home is great for a flexible schedule, but making sure your clients all pay on time can quickly become very stressful. If you’re considering a new career path, research your chosen field thoroughly before making the move. The repercussions of change are greater when you’re the sole person responsible. While sometimes it is necessary to take a job for the sake of having a job, carefully planning out your career path and next steps is important to long-term success and sustainability.